Interview: Innovation in Islamic Branding. Gould SydneyGould. Strategic Branding. Interview originally featured in the Global Islamic Economy Report 2016, by Thomson Reuters in conjunction with DinarStandard. Click here to download the full report. It’s a must-read! 1. Islam-inspired media seems to be taking on a life of its own, in particular, with a raft of new creative brands, designer products and even comic book characters. What major innovation trends have observed in the space? We’re witnessing an exciting flourish of innovation with many new design-driven brands and creative projects rapidly emerging in this space. 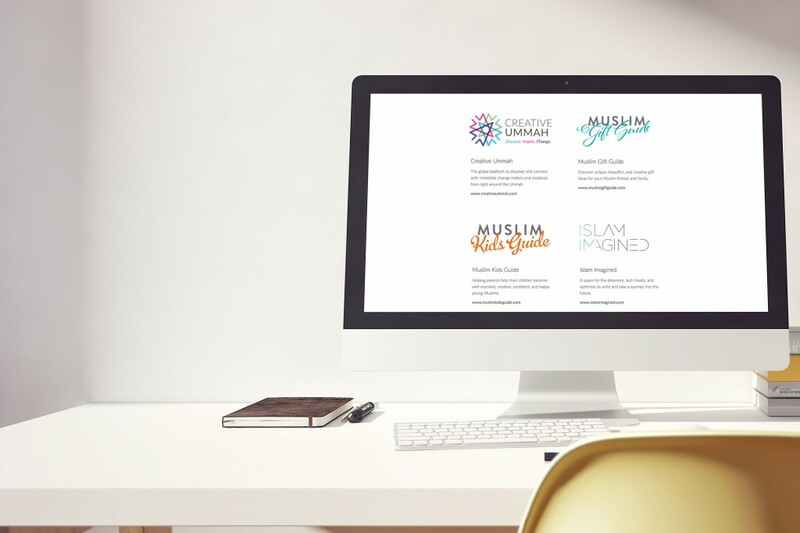 In the last couple of years alone we’ve had many promising Muslim-centric media sites, startups and creative content being launched to the reflect the changing expectations of Muslim audiences. A trend I’ve noticed is that we now have much more quality niche content for different Muslim audiences. These ‘tribes’ range from new parents, to teenagers, gamers, converts, tech geeks, newlyweds, artists, pop culture junkies, fitness freaks and more. These may be further segmented into countries and regions, where there are opportunities for creative content and products to be purpose-built with a cultural, as well as Islamic, awareness. At all levels, they are expecting more unique content created with them in mind, or are creating it themselves. One clear example is looking at the rapid growth of kids books, products, apps, games & toys primarily created by and for English-speaking Muslims living in non-Muslim communities. Many parents in today’s climate are are conscious of building positive Muslim identities for their children and are wanting to introduce faith to their families in soft, fun, enjoyable experiences. Creative brands such as Noor Kids, Faatimah & Ahmed, Ilyas & Duck, Salam Sisters, Bismillah Babies, Jannah Jewels, and products such as My First Wudu Bathtime Book, 5Pillars Board Game, are among many others. Even mainstream projects such as “It’s Ramadan Curious George”, the hugely successful Ms Marvel comic and Sesame Street’s new Afghan character reflect important changes in the global conversation. Inspired by this proliferation of niche-based products & creative content, I felt that there was a need for platforms to serve each community. I wanted a way for creators in each space to connect with each other, inspire great work and of course share their ideas and products to global audiences. This led to the creation of 3 independent sites – Muslim Kids Guide, Muslim Gift Guide, and Creative Ummah (collectively called Gould.Community). This differentiation is one that I don’t often see in online media platforms, which tend to provide content on almost every topic. Since launching in January this year alhumdulilah we’ve had helped many entrepreneurs discover new audiences and connect a new generation of Muslim consumers with quality, curated brands, products & experiences. 2. How important is design and creativity generally in Islamic-themed media, recreation and modern brands? How have you sought to address this with Creative Ummah and Islam Imagined, and what are your plans for both going forward? Design and creative professions have been undervalued by Muslim communities, organisations and brands for some time, which has far reaching consequences in our highly branded world. Recently however I’m seeing a positive changes in mindset and am feeling very optimistic about the road ahead. Investing in the people, projects and institutions who champion a deeper level of design, creativity, artistry, innovation and fresh thinking in Muslim organisations will have a significant impact and influence at all levels of society. They uniquely have the ability to disrupt ugliness in the world by shaping conversation and introducing a narrative of positivity, hope and beauty. While there is still an abundance of brands that do not place high priority on design, creativity or innovation, there is a growing minority that recognise it is fast becoming essential for their business success. Over the next five years this transition will become more and more apparent as Design-driven brands start to shine and achieve global recognition. For example, brands that embrace Design Thinking and understand the importance of User Experience design can expect a huge strategic advantage in the same way mainstream brands such as Apple, Uber and Tesla achieve success by designing their end-to-end customer journeys & experiences. We launched Creative Ummah as a platform to showcase those inspirational people driving positive change in the global community and who illuminate our world with beauty, creativity, artistry and fresh perspectives. One brilliant creative we have featured on Creative Ummah includes the deeply inspiring work of el Seed. His recent project “Perception” saw his signature Calligraffiti style mural spanning 50 buildings in the Manshuyat Nasr neighbourhood in Cairo, which brought attention to unconscious bias based on stereotypes that society can subject marginalised communities to. This is an example of creativity and art going beyond the use of Arabic letters, rather it displays a meaningful motivation and message to the work. Our aim with Islam Imagined is to introduce Muslim children to the world of design and technology, and spark their learning and imagination. Creativity, design, innovation & entrepreneurship are the tools our global community desperately needs to embrace. Islam Imagined is my personal effort to inspire and motivate young people around the Ummah to think positively and optimistically about the future, and encourage them to proactively create the future they want. Both of these projects are committed to nurturing a culture of thinking innovatively and creatively so that we may, as a community, solve complex problems while bringing some more beauty into the world. While it may not be possible to outshine creative masters from our past, we can certainly honour our creative legacy in the language of today by developing Islamic-themes media and recreation that are guided by a deeper sense of purpose. 3. We’d like to learn more about your involvement in the Zileej brand. What gaps in the market is the company trying to address, and what do you envisage going forward? Zileej is a major new focus and I’m very excited to be a co-founder. We have been working on the concept quietly for the past year and almost at a stage we can present our detailed plans more publicly. Building on the success of his 5Pillars Board Game, selling over 100,000 copies since launch, CEO Ansarullah Ridwan Mohammad & our team have established an ambitious vision for the new company. The Zileej brand will be built on innovative and exciting design-led products and creative lifestyle experiences for Muslims. It will be a global brand, but we are focusing on the MENA region first, with our new creative team based in Dubai. Our initial two core product ranges are in prototyping stage and related to faith-inspired fun & learning (think toys & games) and spiritual self-improvement (think wearable technology). The projects address several gaps in the Islamic economy around innovative tech-based products experiences for increasingly sophisticated Muslim audiences. My hope is that Zileej will become a globally known and loved brand associated with beautiful, innovative, high-quality products and experiences that inspire positivity and creativity with a deep sense of purpose, inshAllah. Watch this space! 4. What are the major creative and operational challenges faced by Islamic brands? We are still in the pioneering days of Muslim-centric lifestyle brands. Those in the space know that it’s both an exciting and challenging time as we explore the potential, individually as entrepreneurs and collectively as creative communities. An important part of my personal path into Islam was discovering how spirituality inspires creativity. Muslims globally have an incredibly beautiful artistic heritage and creative legacy that has shaped cultures in a profound way. I feel that modern Muslim-centric brands founded with the right intention and developed with ihsaan (spiritual excellence) have a role to play in continuing this tradition on some level. Working in the space of Islamic branding and Muslim startups in the past decade, I recognise the responsibility of bringing sincerity into the design and creative process. At the studio, my Gould.Sydney team & I are often reminding ourselves of the importance of shaping global Muslim brands with purpose and balance, to create brand identities based on genuine values that have the ability to convey a small part of beauty and delight in our world. Over-commercialisation is an important and sensitive challenge, because brands would be doing a disservice by thinking of Muslim consumers simply as a ‘market opportunity.’ The over-Islamisation of certain things at a superficial level may serve to dishearten the target audience. Only sincere and authentic brands will have meaningful and positive influence on the future of what an Islamic brand means. One of the most pervasive creative challenges is overcoming the almost magnetic attraction to ‘safe’ options of using hallmarks of traditional Islamic art for one’s brand identity and communication. Examples include the ‘expected’ use of Arabic calligraphy, mosaic tiles, and some green in an entirely overused fusion. While there will always be a space for Islamic-style archetypes that immediately communicate “this is an Islamic brand” it is also entirely possible, and exciting, to explore the space of Islam-inspired design that has a deeper sense of that meaning resulting in entirely fresh design elements. In my experience I’ve found that many Muslim startups and businesses have room for growth in organisational capacity to welcome Design Thinking as an organic part of taking their brand forward. There is still some knowledge-sharing that is needed to enable Islamic brands to see the benefit of incorporating Design Thinking into their core business structures. I’m certain that the road ahead will be bright, as many more people are already coming along for the journey. 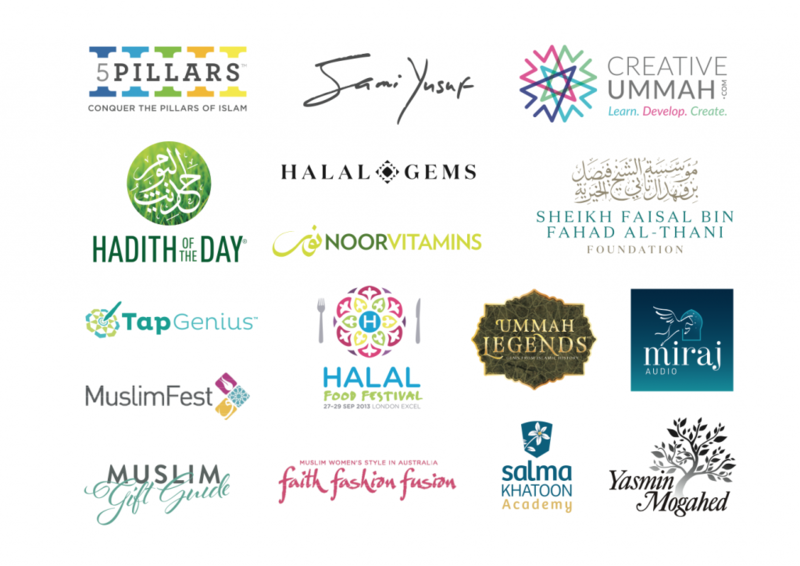 Muslim startup founders around the world and the new wave of brands they represent are increasingly contributing new ideas, disrupting existing practises and positively impacting the world around us.